Ra Puriri packed his suitcase and flew 9,000 miles from the coastal community of Raglan, New Zealand, to Salt Lake City—all to perform an act of dissent. It was late September 2015, and the Maori Mormon, who comes from six generations of devout members of the Church of Jesus Christ of Latter-day Saints, put on a suit, pinned up his shoulder-length hair and went to the downtown Mormon Tabernacle to join other church members watching General Conference proceedings on huge screens. It's rare that Mormons vote in opposition to their spiritual leaders. And it's perhaps even rarer that a Maori Mormon would do so, given, as Puriri wrote to one church official in 2013, "there are no more dedicated and obedient members of the church anywhere in the world than the Maoris in NZ." But for the last decade—through slews of frustrating phone conversations, meetings and emails that bounced him back-and-forth between church authorities in Salt Lake City and New Zealand, along with 800 posts on his blog, saveccnz.wordpress.com—Puriri has fought for the survival of the secondary school campus his parents and more than 300 other native people built in New Zealand in the 1950s. It provided generations of Maoris, Tongans and Samoans—both LDS and not—with education, skills and what Temple View resident, college alumni and pro-campus activist Meshweyla Macdonald calls, at least when it was open, "the heart of the community." But Puriri's battles against his church's attempts to, as Macdonald puts it, "squash opposition to demolition" finally led him to confront his leaders in the most public of forums. The then-56-year-old computer software consultant voted to "sustain the prophet," but when a vote came to support "all the other leaders in the church," Puriri, his guts churning, waited a moment, then stood up to vote "no." Minutes later, the family sitting next to him moved to another row. He hung around after the conference, expecting someone to approach him, but no one did. He waited for months, but no one contacted him. By then, close friends had turned away from someone labeled as a dissenter. "It's almost like leprosy," he says. What lies at the root of Puriri's self-described crisis of trust in some church leaders who, he says, "go from ecclesiastical leaders one moment to businessmen the next" is the 2006 decision by church officials to shutter the then-48-year-old Church College of New Zealand (CCNZ) campus in Temple View, near Hamilton, New Zealand, adjacent to the first LDS temple built in the Southern Hemisphere. Temple View is home to over 1,200 people, around 300 homes and five LDS wards. Some of the campus buildings already have been demolished, but Puriri, Macdonald and others—many scared into silence by the hostility and reprimands they've seen opposers of the church's plans receive—still hope to save the heritage-listed David O. McKay Building from the wrecking ball. Puriri's parents, along with a slew of other Maoris and Pacific Islanders, both Mormon and not, dedicated years of their lives to constructing the school's campus for nothing more than $1 a week, which would pay for a movie ticket or ice cream. "It was sacred and special not just to my family, but hundreds of families," Puriri says. "Our parents collectively sacrificed so much to build it." But, then, they had the church school's now pathos-drenched motto to inspire them: "Build for Eternity." The decision to close CCNZ set Puriri on a quest for the financial truth behind both the Temple View development plans of his church and the Salt Lake City-based City Creek Center. "I feel like they are using the temple as an economic development tool, and that insults me," Puriri says. The LDS church declined to comment for this story, as did Taubman Centers, Inc., a regional mall owner that co-owns and manages City Creek's retail component. The church has pursued similar approaches to a number of temples. In Laie, Hawaii, native resident Aunty Dawn Wasson has been fighting her church's property-development arm over ownership of a cemetery near the Laie Temple, and the church's insistence that human remains be removed. In Philadelphia, the church is building a 32-story tower, rental townhomes and a ward house next to the downtown temple. In a 2014 article, senior real estate manager for the LDS church Michael Marcheschi told The New York Times, "The church is sensitive to what can be developed next to its temple and wanted to have something that would be very compatible with the sacred nature of it." Puriri addressed that sensitivity in a February 2014 email to the top LDS authority in New Zealand in reference to what one of the church's property arm executives had laid out for him eight years before: "Then, he explained how temple patrons would attend the temple more frequently after cleaning up these troubled areas around every temple in the world." By "troubled areas" the executive meant, for example, Puriri wrote, demolishing "a cheap motel near the Ogden temple" because it was frequented by addicts and prostitutes. Puriri sees such values as leading to "invisible, collateral damage," whether it's families in Temple View evicted by the church from rental homes so more-expensive homes could be built, or escalating tensions between church members who refuse to question their leaders and those, like him, who oppose the development, only to be called apostates on social media. After observing the evolution of the LDS church-funded City Creek Center for years and finding painful parallels with the events in Temple View, Puriri coined the term "City-Creekification." It means "exporting materialistic, capitalist values wrapped in religion," he says. That's what he believes has happened to Temple View. "If I may be blunt," Macdonald says, "Temple View looks more like a modern suburb in Utah now than the historic village it used to look like." University of Utah associate professor in the College of Architecture and Planning, Stephen Goldsmith was Salt Lake City planning director under Mayor Rocky Anderson and took the initial concept for City Creek to the church. But the end result was far from what he had envisioned, particularly in terms of what he angrily bemoans "the privatization of the public way." What were once public thoroughfares across from the neo-gothic lines of the iconic downtown LDS temple, became, as the signs on the entrances to the mall proclaim, private property, signaling that those who choose to enter leave their civil rights outside. He says such historic patterns of development are far from unique to the LDS church. Those in financial control of "urban renewal" can create a landscape in their own image, Goldsmith says, "so it's for people like them. That's what controlling men like to do." He perceives American colonialism stiffening the spines of those driving property development in Temple View. Goldsmith finds it heartbreaking, he says, how Puriri has sought over the years to negotiate a bridge between the earthly, spiritual values of the Maoris in Temple View and the colonialism of his church. "It's a typical, tragic example of the way colonialism undermines authenticity and the right to self-determination." Since the LDS church announced the CCNZ shuttering in 2006, Puriri has peppered church leaders in both hemispheres with questions about the motivations and financing behind their plans to raze what one Maori Mormon predicted in 1959 would become "the alma mater of the Maori people." In the place of answers, he says there's been increasing ecclesiastical pressure—from both employees of the business arm of the church and lay clergy—to back off. One issue he's tried to get to the bottom of was whether members' mandatory donations, called "tithing"—which the Mormon gospel explicitly states is only for service-driven use and "sacred" church developments—was funding the Temple View development. That was the claim made by senior employees in the church's property development arm, Property Reserve, Inc., at firesides at New Zealand wards in October 2012. Firesides are typically used for religious instruction, but according to an audio recording of the meeting at the Hamilton stake center, this was more of a real-estate promotional exercise. During the evening meeting, one PRI employee said the mixed development of church property, homes, offices and some retail was being bankrolled by tithing funds signed off by, ultimately, the prophet himself. Puriri believes the PRI officials were attempting "to instill fear and coerce silence and conformity to their so-called 'sparkle' development plans," he wrote in a June 2014 email to Elder Lynn G. Robbins, a member of the Presidency of the Seventy. He went on to quote a PRI employee telling him in New Zealand, "The brethren want Temple View to sparkle so saints will return to the temple." Puriri provided City Weekly with a large number of emails between himself and numerous church employees, stretching back to 2006. At the root of Puriri's struggle, former BYU professor and excommunicated Mormon historian D. Michael Quinn notes, is a Joseph Smith revelation where, he writes in an email, "God says, 'all things to me are spiritual.'" That includes money. The LDS church's involvement in finance and business from its early days meant various "devout Mormons have become disaffected from LDS leaders due to their involvement in commercialism." This all comes to a painful head for Puriri, Quinn suggests, "because the LDS church's commercialism is demolishing some of his tribal heritage of faith." Puriri compares his fight with the church's business arm to playing rugby, something his wife banned him from doing years ago. "I was not a very good rugby player, but I loved the physical contact and brotherhood," he says. "These issues with the church are my rugby substitute." That said, he also reflects on the painful nature of questioning his beloved church and how it has placed him ever further apart from its leadership. "I feel like they've put a black bag over my head, flung me into a black van and put me into a prison of conscience," he says. "When I ask to talk to someone, they take the bag off, and tell me, 'No one will talk to you.'" Puriri was born the same year the Temple View temple was opened in 1958. The oldest of six children, he spent the first 13 years of his life in Temple View, a then-600-strong community of mostly Mormon Maoris, an hour from Auckland. "It was the center of the church in the South Pacific for years," Puriri recalls. "There were cows everywhere, sheep, lots of rain. It was beautiful." His family moved to California when he was 13, then, six years later, to Alpine, Utah, where his father worked as a plumber. Puriri did a two-year LDS mission in central Pennsylvania in the late 1970s, racing on his bicycle against Amish youth in their horse-drawn buggies. He married a Canadian immigrant, and for seven years they lived in downtown Salt Lake City, where they raised their first four children. "They believe in the core beliefs of the church," daughter Karamea says about her parents in a Skype interview. She says her father has always enshrined within those beliefs service to the poor and destitute, and recalls how he ran a downtown Salt Lake City Chevron gas station when she was growing up. Homeless men would gather on the sidewalk, and Puriri would give them coffee and food in exchange for sweeping the lot. "From Mom's perspective, he gets a little too involved," she adds dryly. A former marketing manager for SLUG Magazine and Craft Lake City who now lives in Raglan, New Zealand, near her parents, she admits her father is stubborn. "If it's not the answer he wants, he'll push until it is," she says. Church employees certainly seemed genuinely puzzled that Puriri did not respect the importance of the Temple View development sufficiently to welcome it without question. Puriri exchanged emails with Property Reserve, Inc. executive Brian Carrington, who came to regard Puriri, according to one exchange, as an effective campaigner against the church's plans for CCNZ. In a 2009 email, Carrington lamented, "Right now the community is focused on a school, on a gym, on a library, on some homes, on the past." Such a focus, instead of the temple, "breaks my heart," he wrote. If Puriri focused on "protecting" the temple rather than the school, then "we could accomplish the Lord's will concerning this place." Such exhortations to follow the church line were plentiful. "These are decisions being made in Salt Lake City by upper-tier leaders, so if you question them, you are questioning God," Puriri says. A letter dated July 17, 2009, from the area president over the South Pacific to a couple of vocal Mormons and former CCNZ alumni opposing its demolition, decried their efforts to "apply pressure to the church to do what you want," namely sell the CCNZ to financiers sympathetic to pro-Church College members (something the church declined to do). The area president, identified by Puriri and Macdonald as Elder David S. Baxter, asked them to desist, and made clear opposing the development was opposing God: "These are prophetic decisions and not merely some corporate physical facilities determination," he stated. Letter recipients had to make a decision: "your will, or the prophet's will. It is as simple as that." On March 22, 2012, LDS Prophet Thomas S. Monson opened the City Creek mall directly across from his faith's most famous temple, shouting, "One, two, three—let's go shopping." Puriri was deeply troubled by his church's leaders' championing materialism. "I was shocked," he says. "I thought someone was making this up." His anger grew later that year when he read an article titled "How the Mormons Make Money," by Caroline Winter for Bloomberg magazine. In the article, Keith B. McMullin, head of Deseret Management Corp.—the holding company for many of the church's for-profit businesses—explained to Winter that the return on the church's estimated $2 billion investment would be marginal at best. But that wasn't the point. "It's for furthering the aim of the church to make, if you will, bad men good, and good men better," he said. How did shopping make bad men good? Puriri was stunned. He felt McMullin was preaching, he says, "that you'll find God in the material world." When he strides around the elegant, marble-rich walkways of City Creek one Wednesday afternoon, he sees what other Mormons critical of the mall have described as "the great and spacious building," a scriptural reference to the materialistic world that swallows you whole. "The top 1 percent of Mormons shop at City Creek," he says, ticking off such high-end stores as Tiffany & Co. and Porsche Design. "We could do more with that money than prop up a pretend shopping center that no one uses," Puriri says. Prop up because, he says, a senior church official told him and his brother in separate meetings that to keep Sundays holy, they paid retailers to stay shut. Several property sources familiar with downtown argue that, while the church wouldn't pay the City Creek anchor-stores Nordstrom and Macy's to stay closed on Sundays, the lease arrangements might well include a deduction to reflect some part of the estimated revenues lost from one of the biggest shopping days. In an August 2012 press release, the LDS church announced that, "after four years of research analysis and consultation," it had decided to build on Temple View "a new stake center and carpark, park, lake and footpaths, and upgrade of Tuhikaramea Road," which leads directly to the temple. Shortly after, fliers went out to ward houses across New Zealand promoting a "fireside," typically a discussion on scriptural issues. However, this meeting was led by top Property Reserve, Inc. officials touting the Temple View development to church members. A local church member secretly recorded the meeting and gave it to Puriri, who posted the audio on his blog. An American consultant for the church, Don White told the Hamilton stake center audience that the objective of the development was "the protection and sanctity of the environment of the temple." He continued, "All the projects we are focusing on tonight are tithing-funded projects," decisions that could only be made by the church's top leadership, to whom the three men reported. LDS church leaders have repeatedly said no tithing money was spent on City Creek—so were the presenters in New Zealand telling the truth, or not? Elder James J. Hamula offered Puriri an explanation in an email, albeit one that left him troubled. A new stake center was indeed coming out of tithing funds, whereas the rest of the project—homes, townhouses, some retail—was through non-tithing money. "Thus the statements made by PRI representatives that you have been concerned about and copied me on, while perhaps imprecise, are not really inaccurate," Hamula wrote. One fireside attendee asked how much it would all cost the church. "It's more than $1,000,000," White replied dismissively. Offices and "five or six shops" were proposed, along with tearing down the McKay Building to make way for American-style homes. Karamea Puriri says there's an affordable housing crisis in New Zealand, but few members of the church could afford to move to the residential precincts the church is planning. 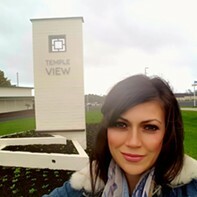 She says the struggles over the future of Temple View have had a "big ripple effect on the community. Kiwis look at Americans with our big voices as if we tread on everything they do." At the beginning of Puriri's struggle, Karamea Puriri felt he was optimistic that he could bridge the gap between his church and his community. "He felt, if he kept pushing those buttons, they would sit down and listen to him," she says. "Instead, they flexed their muscles and pulled him from one church calling after another. That's been the trend." Watching her father's growing sense of disappointment saddened her, since the church is all her parents have known since they were born. "It's such a huge part of my family, being so devoted to it for years on end," she says. Yet despite her father's love for the Mormon gospel, the institution continued to let him down. "If there's any way to push a member out of the faith," she says, "they're doing it." By late 2012, Puriri had come to realize a painful truth: In the fight to save Temple View's last historic properties, the truth was becoming an increasingly fragile victim in attempts to placate him and other local opposition to the development. That fall, Ra Puriri and his father attended a meeting with Bishop Dean M. Davies of the Presiding Bishopric's office at downtown Salt Lake City's LDS headquarters. Davies is first counselor to the Presiding Bishopric, who oversees the church's for-profit business activities worldwide. The meeting was an answer to the Puriris' prayers, as Davies had good news for father and son. The former teachers' homes that had been earmarked for the wrecking ball were to be spared. "Residential homes that are functionally obsolete will be renovated and made available to residents and families," Davies wrote in a follow-up letter. Puriri Sr. cried on the way home. "Isn't that wonderful?" he told his son, before calling his sister in Temple View to impart the news. A few days later, Puriri received a document that sharply contradicted Davies—namely, a copy of an eviction notice served to all 30 families that resided there, dated a week before the meeting. The tenants of the church-owned housing were informed they could stay a few more months if they agreed not to protest the church's development plans. Puriri took what he saw as an insult to his father—"They made him out to be a liar to his family." He wanted an apology from his church, but "there's no mechanism, no script in a bureaucratic institution that outlines how that is done," he says. Nevertheless, he continued to dig. In mid-February 2016, Puriri emailed Elder Kevin W. Pearson, who represents the First Presidency in New Zealand, that he was urging others to ensure their tithing went to the poor and needy. That was a position, Pearson responded, that "would be viewed as a serious action against the church, when combined with your open vote of dissension in conference." He told Puriri, "You have been heard, but your wishes and recommendations have not been accepted. It's time to accept that fact and move on." Puriri emailed Pearson, highlighting what he felt was the "uncharitable" and even hostile tone used by other church members against him and his father. "[One] brother told my father that he is not a faithful member of the church, and if he was not careful, he could be excommunicated." Pearson wrote back, "Time to stop trying to block or revise what the First Presidency has approved. Time to stop opposing. Trust that the First Presidency is doing the right thing." In early 2015, Puriri and his wife left Utah and moved first to Hamilton, and then Raglan, New Zealand—a small coastal town where Karamea Puriri now works for the local paper. Puriri has rediscovered the elemental pleasures of surfing, and dotes on his first grandson, for whom, he says, he continues the fight. In January of this year, Puriri refused to "sustain" his church leaders in his annual interview for his temple recommend, a document he has held as sacred since a child. As a consequence, his stake president took it from him. He feels that this action has left him effectively excommunicated without cause from attending the temple. "I feel they are using it as a weapon, holding it over my head," Puriri says. "If I surrender my free will, if I bow my head and bite my lip, I can go to the temple." He kept the loss of access to the sacred temple to himself, packed his bags once more and came to Salt Lake City to seek answers from the church leadership. No one would meet with him. "I think it's a heavy weight to know all of these things and not be able to do anything about it," his daughter Karamea says. At Temple View, the McKay Building is now boarded up and dotted with "No Trespassing" signs. Church officials said in a public statement, if they are not granted permission to tear it down, they'd let it rot rather than open it up to be used by locals. There's a new road leading to the temple, along with expensive homes hidden behind high walls. Owners have to agree to restrictive covenants, which Goldsmith says, having looked over them at City Weekly's request, suggest that, much like City Creek, the church is effectively privatizing the public way. Last month, Meshweyla Macdonald attended a hearing in Hamilton on the LDS church's application to knock down the David O. McKay Building. She represented the Temple View Heritage Society, a group Puriri is part of, and presented a 47-page document to a committee tasked with deciding the fate of a building that once beat to the heart of a united community. Macdonald outlined how local church leadership had used their ecclesiastical rank to push for support from members for the church's plans. "The development that has happened and is proposed to happen has destroyed much of what was special about Temple View," she writes in an email in response to questions from City Weekly. "It's just another place now, that happens to have a temple in its proximity." After local news covered her presentation, she was criticized on social media for questioning the church's will and for airing dirty laundry in public. 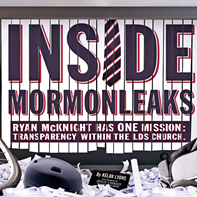 "I think there is shock [by church members and leadership] that black-and-white evidence of church activity that has resulted in undue influence, breach of fiduciary relationship and thwarting of democracy, and free speech has been put up for public scrutiny," Macdonald writes in her email. A decision on the building's fate is expected mid-June. Despite losing his temple recommend, Puriri's fight is far from over, daughter Karamea says. "It's a fight for truth, at the end of the day. And he's a very determined fighter." In all this struggle, Puriri's faith remains not only undiminished but, if anything, strengthened. "My faith in Christ has increased in direct proportion to my diminishing trust in some church leaders." If he can't get the faceless bureaucrats in his church to answer his questions, he says with a laugh, he will face them down on the rugby field. "Perhaps they will accept my challenge to settle this through a game of rugby. Their team against my team. May the best team win."